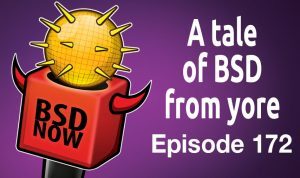 This week on BSDNow, we have a very special guest joining us to tell us a tale of the early days in BSD history. That plus some new OpenSSH goodness, shell scripting utilities & much more! 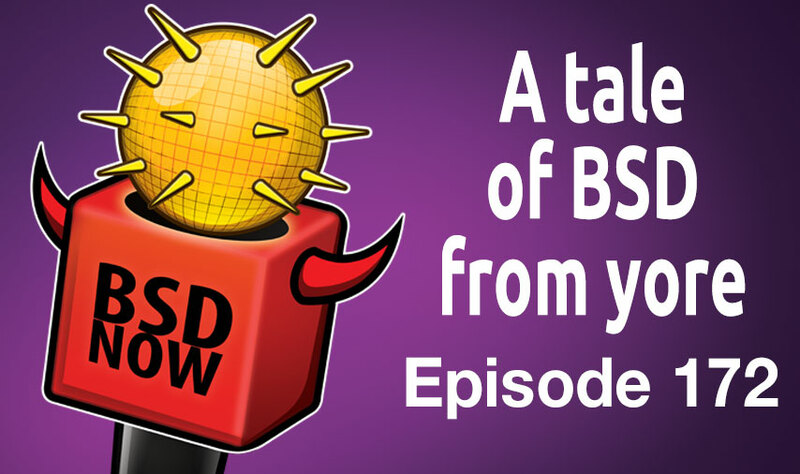 Stay tuned for your place to B…SD! Getting ready to head into the holidays for for the end of 2016 means some of us will have spare time on our hands. What a perfect time to get some call for testing work done! Damien Miller has issued a public CFT for the upcoming OpenSSH 7.4 release, which considering how much we all rely on SSH I would expect will get some eager volunteers for testing. What are some of the potential breakers? This release removes server support for the SSH v.1 protocol. sshd(8): Remove support for pre-authentication compression. Improved the key exchange fuzzer harness. Get those tests done and be sure to send feedback, both positive and negative. There you go. The Internet of Terror has already been on your LAN for years. We have a very fun blog post today to pass along originally authored by “A. Jesse Jiryu Davis”. Specifically the tale of one man’s quest to unify the Getaddrinfo in Python with Mac OS and BSD. “Tell us about the time you made DNS resolution concurrent in Python on Mac and BSD. Ever had to configure the FreeBSD auto-mounting daemon? Today we have a blog post that walks us through a few of the configuration knobs you have at your disposal. First up, Tom shows us his /etc/fstab file, and the various UFS partitions he has setup with the ‘noauto’ flag so they are not mounted at system boot. His amd.conf file is pretty basic, with just options enabled to restart mounts, and unmount on exit. Within this file, we have the various command-foo which performs mounts and unmounts of targeted disks / file-systems on demand. Pay special attention to all the special chars, since those all matter and a stray or missing ; could be a source of failure. Lastly a few knobs in rc.conf will enable the various services and a reboot should confirm the functionality. Ok, I’ve made no secret of my love for shell scripting. Well today we have a new (somewhat new to us) tool to bring your way. Have you ever needed to deal with large lists of data, perhaps as the result of a long specially crafted pipe? What if you need to select a specific value from a range and then continue processing? Enter ‘smenu’ which can help make your scripting life easier. “smenu is a selection filter just like sed is an editing filter. This simple tool reads words from the standard input, presents them in a cool interactive window after the current line on the terminal and writes the selected word, if any, on the standard output. After having unsuccessfully searched the NET for what I wanted, I decided to try to write my own. Take a look, and hopefully you’ll be able to find creative uses for your shell scripts in the future.